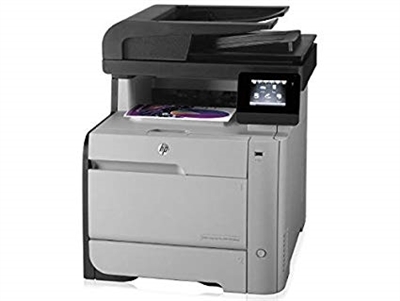 With a built-in wireless LAN, this HP LaserJet Pro MFP m476nw all-in-one printer lets you wirelessly print from Apple AirPrint- and HP ePrint-enabled devices. The printer supports printing, copying, scanning and faxing for flexible operation. This printers ships with powercord only. Consumables and connectivity cables must be purchased separately. Print speed Up to 21 ppm Monthly duty cycle: Up to 40,000 pages Fast Ethernet 10/100Base-TX, high-speed USB 2.0, and wireless connectivity.